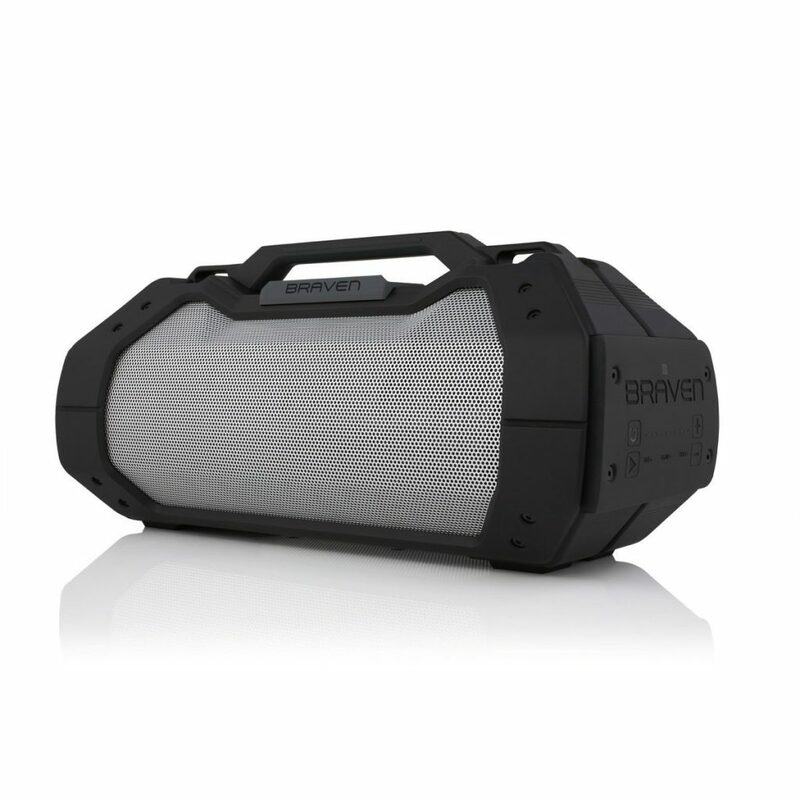 If you’re out often and want some outdoor entertainment in the backyard or when you’re out for camping, the Braven XXL wireless speaker got you covered. You can carry it around everywhere. The Braven XXL is designed for outdoors! It’s guaranteed resilient from water, sand, and dirt with an IPX5 rating. There’s a carrying strap you can use to bring it anywhere. It also comes with a handy bottle opener for some good beers! This enormous wireless speaker can boost outdoor entertainment with its massive audio performance. It’s packed with four high-definition drivers that deliver big sound in both sides of the speaker. The XXL is also built with a subwoofer for that badass bass! You can personally customize the audio settings with the adjustable bass and treble settings. It also includes a 3.5mm microphone input so you can host those outdoor parties like a pro. Built with Bluetooth and a rechargeable battery, you can go on for long hours without wires. This big sounding wireless speaker comes with a powerful 15,600mAh rechargeable battery. It can give you an uninterrupted play time for 14 hours. You can even use it to charge your phone. 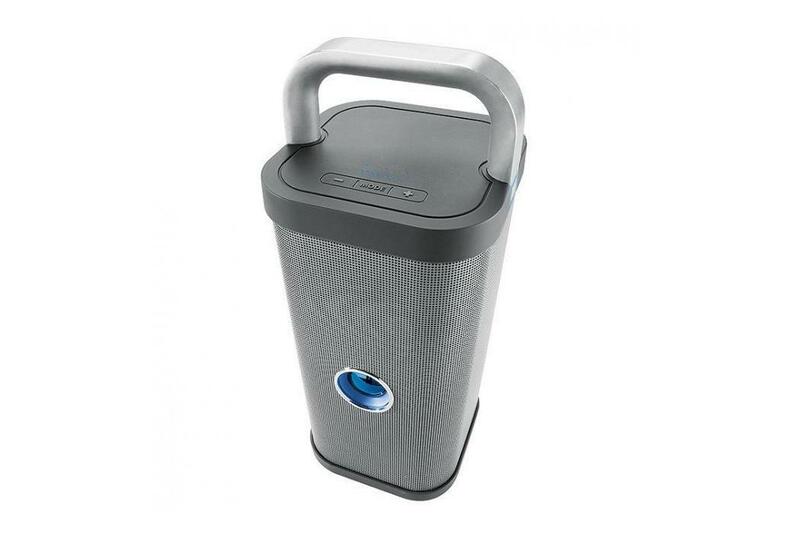 Get the party started with the Brookstone Big Blue Party Indoor-Outdoor Bluetooth Speaker! You can either use it indoors or outdoors. This speaker has a handle at the top where you can hold to bring it anywhere. Take it to camping, a day at the beach or just on your patio. It can survive any weather outside as it’s weather and waterproof. What can entertain your outdoor sessions other than good and top-quality sound production? With the Brookstone Big Blue Party Indoor-Outdoor Bluetooth Speaker, you’ll get good and loud music anywhere. It optimizes four specially angled speaker drivers to produce an impressive audio performance. The speaker also comes with a subwoofer and passive radiator for a thundering bass response. Play any song without any problem. Customize your audio settings like the volume, treble, and bass at the top of the speaker. No need for wires! This speaker has a Bluetooth and NFC connections for a smooth wireless audio streaming. Powering the speaker without wires is a rechargeable battery that can give you 4.5 hours or more of outdoor entertainment. If you want to party outdoors, you ought to check the ION Audio Block Rocker. It’s a dynamic speaker in the form of one block. This wireless speaker is easy to carry and has rubbers on the corners, so it’s safe from a few bumps. To make it unchallenging for you to move it around, use the telescoping handle and built-in wheels. Roll it along with you anywhere for outdoor entertainment. Rock the block with this wireless speaker. 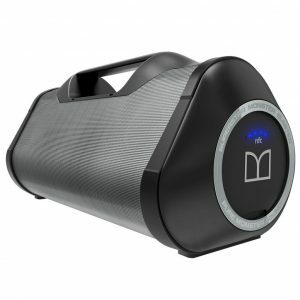 It pumps out a powerful audio through the 8-inch, two-way speaker system with 50-watts of power. 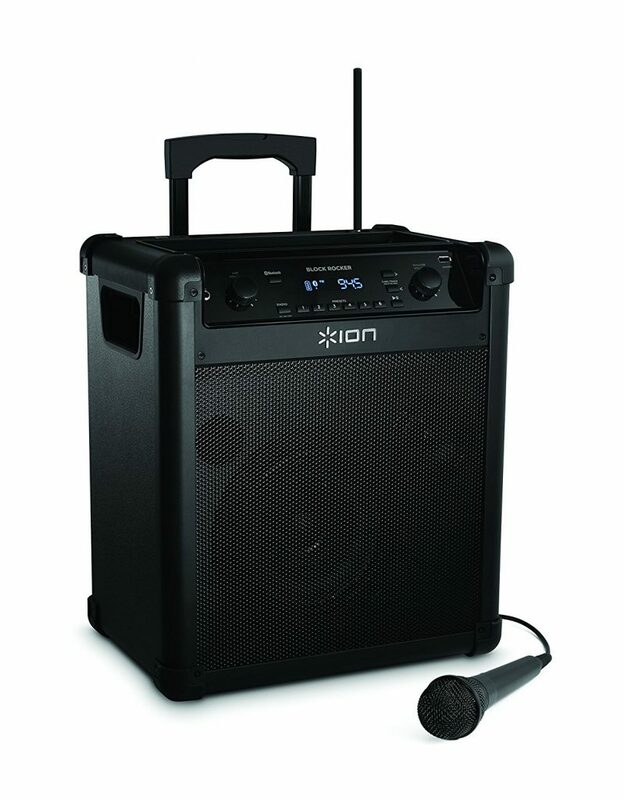 You can host your parties with the included microphone and cord. There are several ways to play music with this wireless speaker. You can use the Bluetooth and NFC connection for wireless audio streaming. Or you can also play music through AM/FM radio stations. The Bluetooth’s operational range can go as far as 100 feet distance from the audio source to the speaker. What’s another great feature of this wireless speaker? It has a rechargeable battery that lasts up to 50 hours! That’s like three days of continuous music! 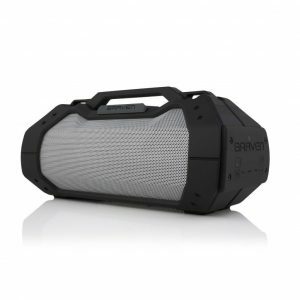 The Samson Expedition XP106 is a great wireless speaker if you’re up for some outdoor party or chilling. It comes with a wired microphone, so you can use it when you’re up to host the party. This speaker is also lightweight that it makes it easier to bring anywhere with you. The Expedition XP106 can give off a blowing audio performance. It features a 6-inch subwoofer and a 1-inch high-frequency driver. It’s also powered by a 100-watt Class D amplifier to match the drivers to create an impressive sound experience. If you want to link other XP106 speakers, there’s a link output in the speaker so you can connect them effortlessly. Want to have acoustic sessions on your backyard? It has a ¼-inch output for guitars. You can switch between Music and Speech modes to optimize the EQ output for speech and music time. This speaker has several features that fully achieve the freedom from wires and just enjoy good music. It also has a Bluetooth connection that allows you to play music without wires. You can go on wireless for 20 hours with its rechargeable battery. To wrap it all up is the Monster Superstar Ravebox wireless speaker. 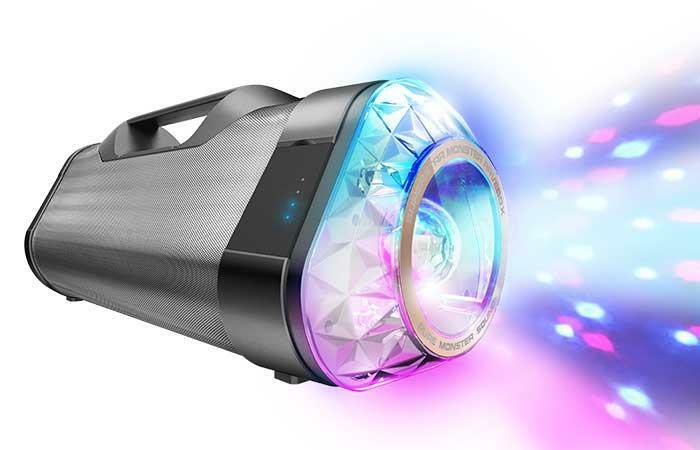 You can take the party anywhere with this wireless speaker’s thumping audio performance and light show. It’s a great wireless speaker for an evening of outdoor entertainment. But you can also use it at daylight as well. You and your friends can party outdoors while listening to pulsating music from the Ravebox. It can perform well even when it’s raining, or when you’re at the beach since it’s water and splash proof. This superstar speaker has indoor and outdoor modes to fit the environment where you’re playing music. The outdoor mode ensures a powerful sound even on open spaces. It features a bi-directional driver design with 360-degree angled full range drivers. The Monster Superstar Ravebox boasts of key features that make outdoor entertainment more entertaining. It delivers a powerful Monster signature sound with a subwoofer for a pounding bass. The speaker also uses an exclusive V-Sound technology so the music can spread more. One feature you’ll adore is the synchronized light show that dances to beat of the music being played. You can also use it as a phone charger in case your battery is running low while on the party. You can use Bluetooth or NFC for a quicker pairing to play music wirelessly. The Ravebox is powered by a rechargeable battery that lasts up to 12 hours.